Follow tournament progress at GlobalTennisNetwork.com. 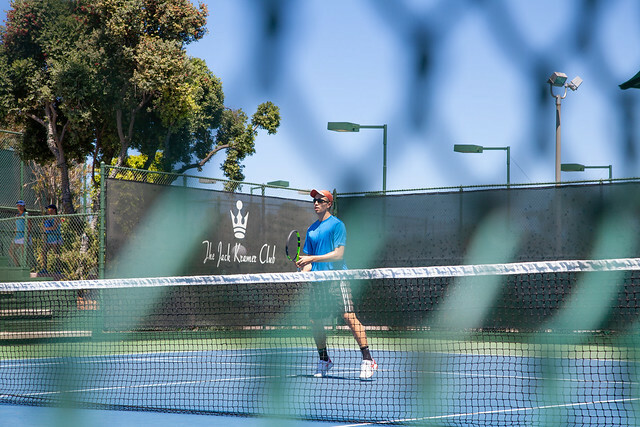 The City of Rolling Hills Estates encourages tennis players of all ages and skill levels to pick a partner and sign up for theTracy Austin Doubles Tennis Tournament, which will be held on July 19, 20 & 21, 2019. Now in its 41st year, the event draws tennis enthusiasts from the Palos Verdes Peninsula and the greater South Bay area, and is one of the few tennis tournaments that welcome junior players in all categories. Classifications include Open, A, B, C+, C and D. Players are allowed to enter in up to two divisions (Mixed and either Men’s or Women’s Doubles). The tournament is named in honor of Tennis Celebrity Tracy Austin.